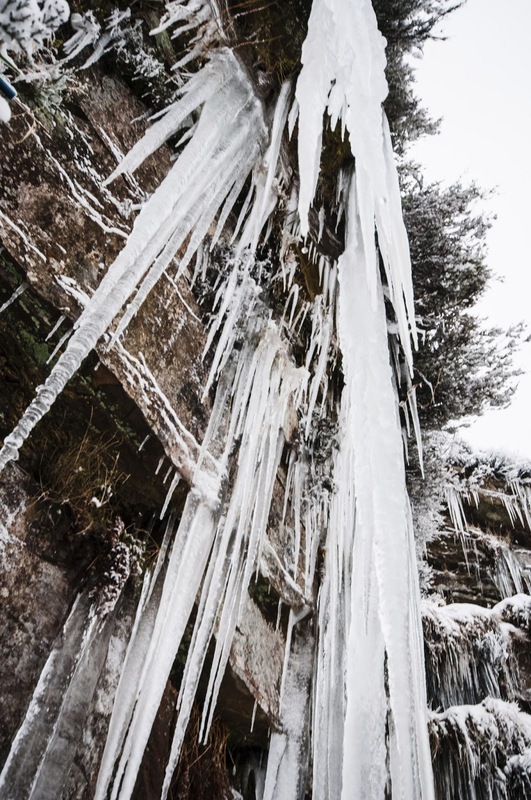 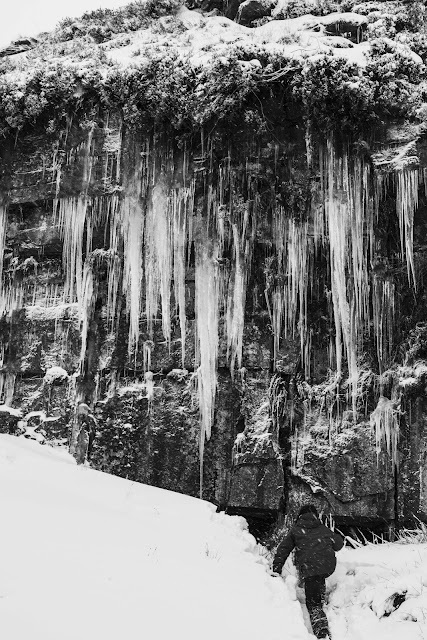 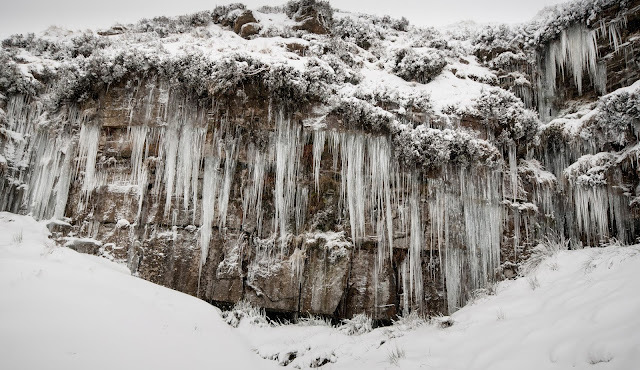 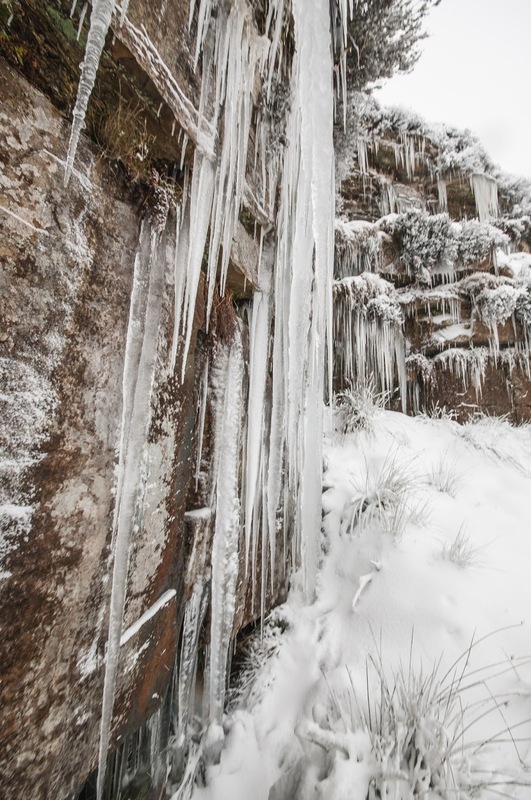 These icicles were photographed a short distance from the Pennine Way near Hebden Bridge. I thought Black and White for a change. 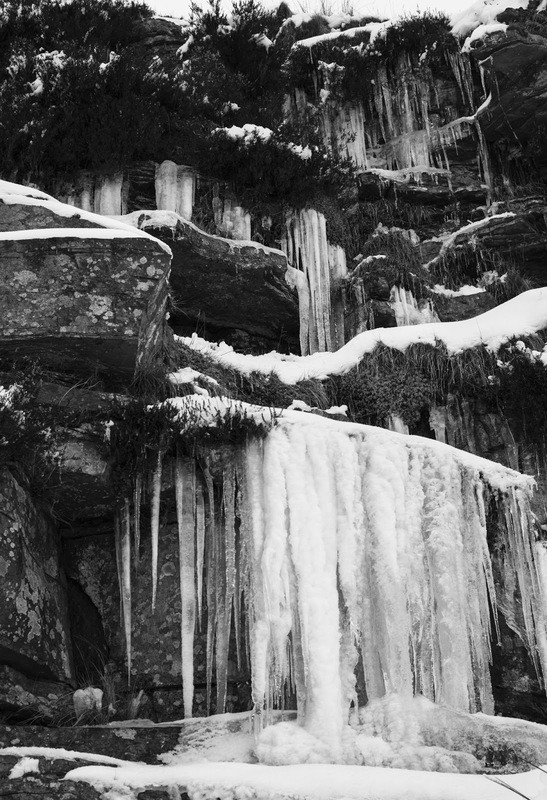 That is me in the picture. 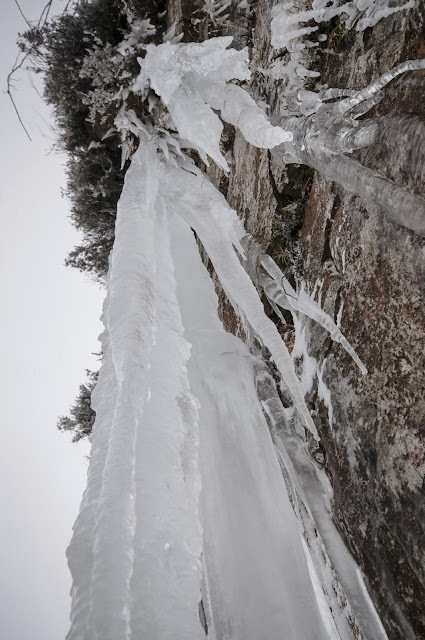 The camera was on a tripod.